Extract from the sorghum plant, belonging to the graminaceae family. Extract from the sorghum plant, belonging to the graminaceae family. According to its varieties, it produce colours ranging from dark, red and brown to light yellow and white. 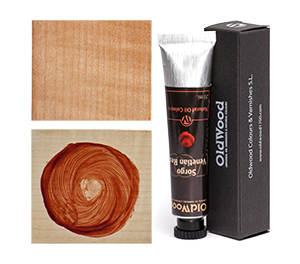 Sorghum extract was used traditionally in China as a red fabric dye. 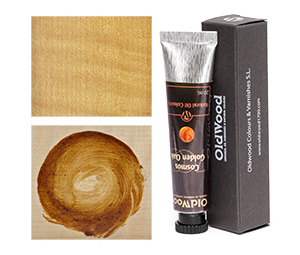 New extraction methods now make possible to obtain a uniform quality that allows the use of these dyestuffs in other fields. 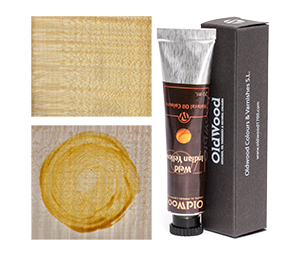 OLD WOOD has selected the variety whose main colouring agents are pelargonidin, petunidin, cyanidin. All of them are anthocyanidin compounds and more specifically isoxanthoketone galactosides. 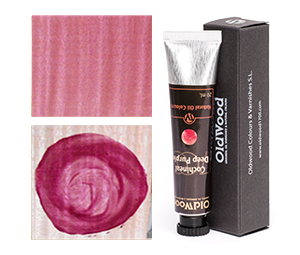 Pelargonidin produces a reddish orange, cyanidin delivers a magenta hue while petunidin bluish shades. 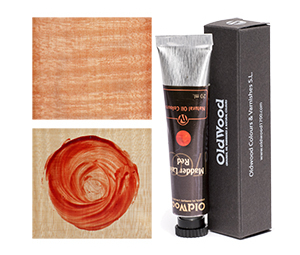 OLD WOOD has created a pigment paste called Venetian Red that produced a dark red brownish colour with great transparency and depth, and above all a silky warmth.